My Name is Mitchell Barlow and I have been doing work experience for one day per week here at Webtron. 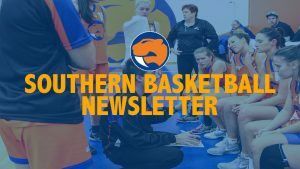 Since doing work experience at Webtron I have created a mock website design for my basketball club, created an email campaign on Mailchimp and learnt how to make a blog on WordPress. First I went onto my teams old website and looked through it, writing down what I liked and what I didn’t like. I would then use that information later to help me create a better website. Once I had looked through the old website, I went onto Pinterest to look for inspiration and get a few ideas to help me out. 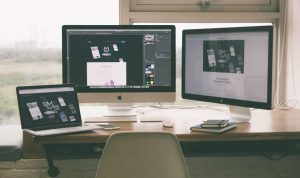 After these steps I began designing my website. I started by drawing ideas for different parts of the website on paper. After drawing my ideas I picked the parts I liked the most and then drew the final design on paper. Once I had finished drawing my design, I went to photoshop to create it. I started by making the background and selecting the colours. After I had created the background I moved onto adding details, text and photos. Once the background was finished and the content had been added, I tweaked the colours a bit and change some minor details as I saw fit. I showed my finished design to Sam and Lachie to get feedback and pointers. After I had gotten feedback I changed a few more things until my design was completed and I had finished my website. After I had created my Basketball Mock website, I created an email campaign for my teams newsletter. I used Mailchimp to create the email campaign which was very helpful. I started the email campaign by creating a banner for the newsletter on photoshop. Once I had created the banner I placed it on the email. After I added the banner into the email, I coloured the background in my teams colours. Once I had added the banner and put in colour, I filled in the email with content. I then proof read the email and changed a few minor things, then after that it was complete. In the 4 days that I have been at Webtron I have already learnt so much. Before I was doing work experience at Webtron I wanted to be a graphic designer. I’ve learnt much more about graphic designing and how graphic designing fits into websites. I have learnt about Mailchimp and how to send email campaigns, which is a great tool for promoting your business and I’m great full I’ve learnt how to use it. I created this blog using WordPress which I also learned at Webtron.